The single will be out on 7″ vinyl and digital single formats NOVEMBER 22. Not bad… definitely better than anything Pollard’s put out the past 5 or so years. And the muddy mid-fi feel and double-tracked vocals are appreciated. But let’s hope there are some harder, stronger riffs on the record. This track bounces along and I can see Pollard hopping along to this live, but I also have a feeling that this track would’ve been a b-side back in the day. Bill must be high, because this is BEAUTIFUL. Matador, you KNOW this album is RIPE for a BEGN, complete with lots o’ goodies. Sign me up NOW. @jpj – Matador isn’t putting out the album. That’s coming out on Pollard’s own label, Guided by Voices Inc.
Why wouldn’t Matador put out this album? Robert Pollard has a large enough cult that he doesn’t need to work with labels. He makes more money putting out records on his own two labels that are run by a small crew of his friends. He’s been working that way almost exclusively for four years now, in which time he’s released about twenty albums. Putting out the new GbV album on his own label is business as usual for him. Oh and also putting out records on his own label allows him to release records whenever he wants. He’s completely independent. 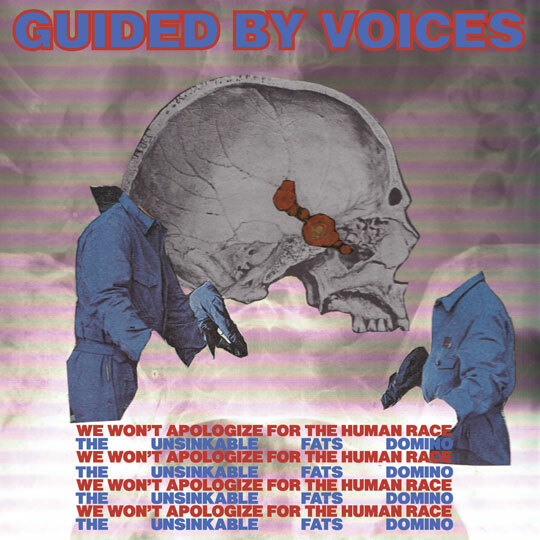 In addition to this new album, he plans to release ANOTHER GbV album in May of next year. Congrats, gbv. this single is a toe tapper. Hope you tour again as the Columbus show was agreat experience.